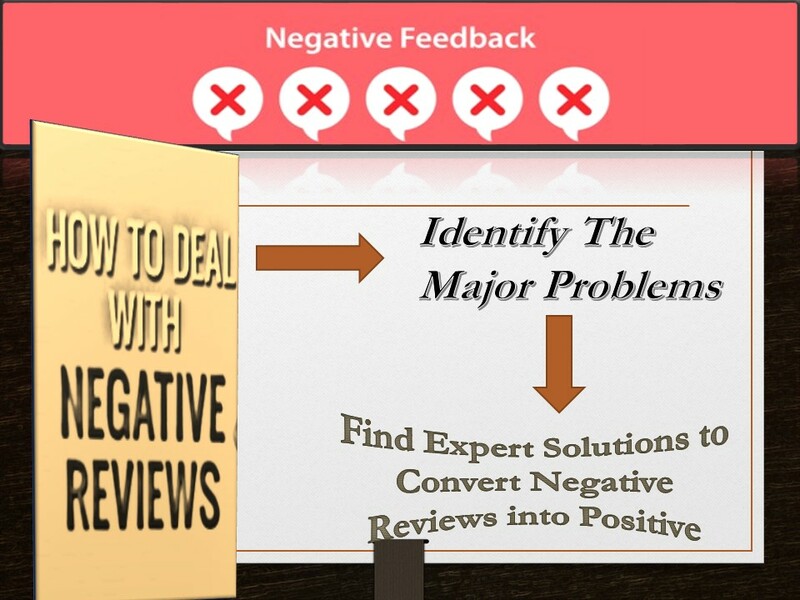 A negative review is something that most organizations hope to avoid which can degrade the success of their businesses. A negative review, generally signals that the employees and the management of an organization have not completed all parts of their job satisfactorily and they have to improve the delivery of services. Other factors that cause negative review on a business could also be related to poorly written product descriptions, unexpected disappointment, poor customer supports, etc. But sometimes, many organizations could put these factors in mind and customers will still place negative reviews on their organization profile, website or product description. However, we have heard through word-of-mouth from customers who should stand as positive referrals to the services you offered them. We also have read those hurtful and saddening reviews on your pages on local websites, and how mind-poisonous and painful-convincing words customers have written about your restaurant. And your response to these feedbacks has not been helpful. Therefore, we have decided to help solve these problems your restaurant is facing and help build your profile, improve your quality of services and profitability and also placing you on the best network in bringing your business to the limelight of where it should be. The sign of a good and decent restaurant is not necessarily its size, but rather the nature and quality of its food, generosity of its staff, the kind of music played and the attractive look. Along with that line, the finest dining many customers have encountered throughout their lives could have been in the small diners and divers scattered all through suburbia of this country even if many others could have also witnessed bigger restaurants too. Regrettably, what we have heard and seen about your restaurant doesn’t make yours among these gems. It had become a noticeable habit amongst your staff the way they welcome customers to your restaurant have not been appealing. They simply are not friendly at all, and some other times, they put on an unpleasant look on everyone almost every time. This is what’s becoming a repetitive comment from many customers. The restaurant is supposed to be very attractive, clean and very tidy. We have heard good feedbacks about how tidy your restaurants look, but some customers make other comments about the kiddy-friendly designs and no area for kids. The designs are definitely to be minimal but should look extravagantly lovely to the eyes and catchy. Music is an important aspect of a restaurant, to avoid having a boredom time eating a good meal, but when a music is too loud and doesn’t fit the environment, customers are turned off and this could piss some off and consequently place a negative review in regard to this. The menu which is the most important reason people come to your restaurant is something that must have certain specialties. We have heard from different customers how sad they have felt from the quality of food you offer. They have complained bitterly pointing at the fact that the tastes are just as normal as they could have casually cooked it at home, others complained that the different kinds of salad you offer are similar to each other with no major difference. The quality of the food you offer has also not befitted the costs of the food you offer. Many have complained saying that your quality is just okay and not carrying the “wow” factor. Some say the taste is good, but nothing so unusual, special or exciting. Others say the quantity on each dish was unpleasantly moderate and just annoying. The nightmare about a business is when customers provide very bad reviews to one’s business. As a matter of fact, reviews promote or demote the quality of one’s business which implies the quality of your business has been seriously demoted and affected tremendously. Customers serve as referrals to one another using the word-of- mouth advertising approach to either increase your profitability or do otherwise. In regard to this, we are an organization who has helped so many falling and failing businesses, particularly restaurants, rise up from their woes and unprofitability. We have dealt with many businesses; given them great tips, put them in a high pedestrian to effectively bring their business back to the success they have focused it to be at the startup. We know how talented you are in the services you offer to customers and we are also aware of your commitment and devotions to making sure customers are satisfied. But we have decided to add a plus to your talents and goals. We are ready to change and improve those reviews from negativity to perfectly positive ones which will boost your integrity, and also bring in more profits to your business. One of the ways we have decided to help your business grow is through improving your customer service, we are aware that the negative feedback about the behavior of your staff is really a great problem which has to be dealt with. Furthermore, the appearance of your business online is also an effective way of improving your business profitability. We intend to improve your appearance online on different business media websites most especially on Google local which would enhance your business’ success. We are also much focused to help you monitor your daily business growth, and find out the major lapses and occurrences that are affecting your business and also we will take cognizance of the very little shots that could keep customers off your business and improve on it. Conclusively, we are change agents, we are confident in the way we operate to turn peoples’ business around for profitability and positivity. We believe in our clients, we believe they can be better successful and we are ready to be part of the success of your business. We look forward to this great opportunity. Negative Reviews really effect the position and reputation of the company. This paper really helped a lot to understand the situations and helpful ways to fix these issues.